« Will Village Murder bring Village Rebirth? Kinois checking marking tape in the Park. They saw poachers, tiny in the distance, and hid. They wanted to take them by surprise. The hunters kept coming, but must have seen them. As soon as Kinois stepped out, a hunter fired. Kinois’s jacket -sleeve shredded and his arm was grazed; no one was seriously hurt. The poachers were too far away to identify. They turned immediately and fled. Kinois’s team gave chase. 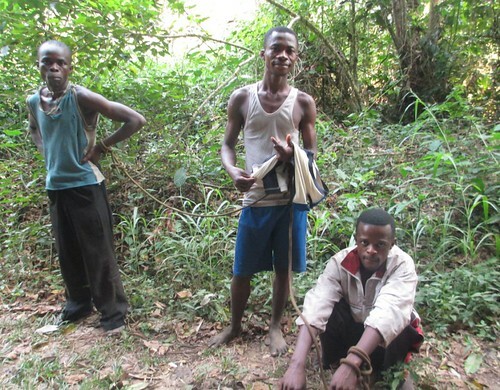 The poachers fired one more time as they shed machete, file, and liana backpack with monkey carcasses. 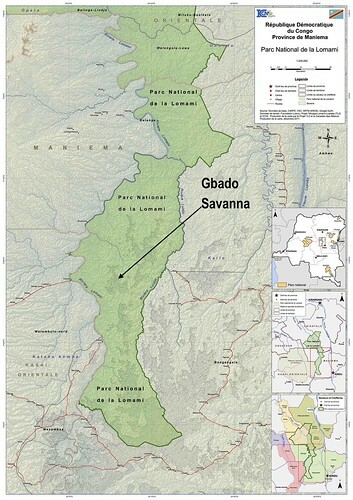 Gbado savanna is in Maniema province, in the southern part of the future Lomami National Park. Kapere’s death (last post) occured in the northern part – not shown here. The Gbado savanna is one of a group of edaphic savannas that pock the forest cover of the southern park. Kinois has worked with us for four years. He is of the local Ngengele ethnic group and he knows the villagers. 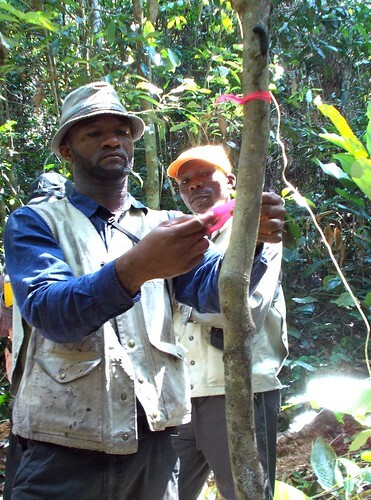 When they returned from the forest, Kinois took the machete and file to the center of Tshombe Kilima village; by the side of the road, he started to sharpen the machete. One of the little brothers of Shenge came up and demanded, “What are you doing with my brother’s machete? That belongs to him.” “Tell him to come and get it.” But Shenge was not in the village. We agreed with the parks authority (ICCN): the park needed a military sweep to “clean” it out. TL2’s Leon and Ferdinand went with ICCN’s Maniema director to the army commandos based at Lokando. Major Guillaume assigned a Lieutenant and three other commandos to the sweep. Our TL2 project provided the guides, including Kinois, himself. On May 20th Kinois sent another message to Leon. They had rounded up 10 people from the park, included Shenge, the hunter who had fired on him. They let the porters go, but kept three captives and confiscated their shotguns. 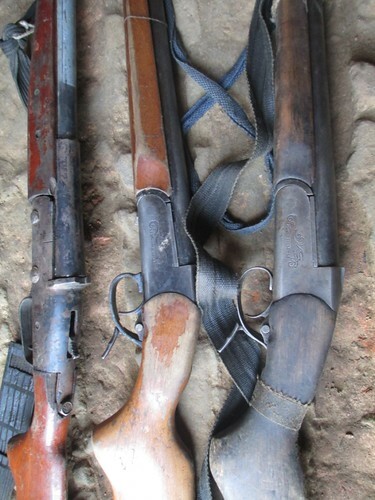 The three shotguns that were confiscated. The one on the left is “local manufacture”. One of the poachers admitted guilt, paid a fine and was released. But not the two who fled from Kinois. Not Shenge ,nor Faki. They insisted they were not hunting in the park. The poachers bound and in captivity. Samuel, on left, paid a fine and was released. Shenge, standing, and Faki did not admit their guilt. Sometimes Law and Politics seem to be on opposite sides of the table. A National Deputy, Atigho, is also Mungengele, like Kinois and like the poacher, Shenge. 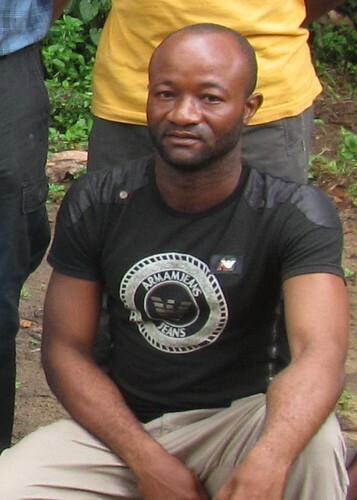 Atigho has his hands in the lucrative bushmeat trade. The judge remained uncorrupted. 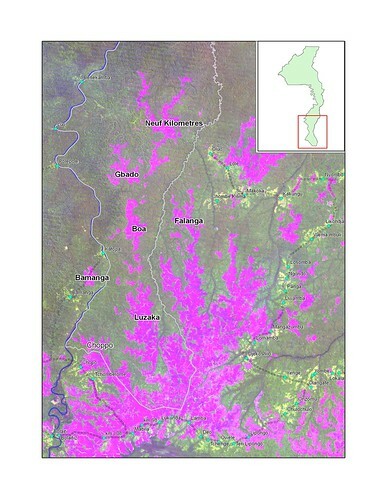 This is good news for DR Congo. It was in the 6th appearance before the judge that Shenge finally admitted his guilt. Yes, he was poaching in the Park. Yes, he had fired on Kinois Kitoko. He swore that he would not enter the park again and asked to be let out of prison. The judge refused; Shenge, with his accomplice Faki, had to stay in prison. Sometimes forgiveness is a stronger weapon than punishment. But the poachers had fired on Kinois – they could have killed him. Could we withdraw our complaint? This is where tradition comes in – it was the request of Shenge’s family that the tradional Olunga of the Bangengele ethnic group hear the case. Kinois agreed. This is an assembly of elders, led by Dame Moza recognized for her wisdom and fairness. The punishments are traditional. We withdrew the case from the state court and laid it before the traditional court. 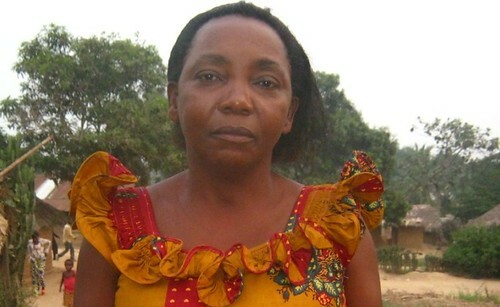 Dame Moza is the spokeswoman for the consul of Ngengele elders. The court was held in Dame Moza’s home. She was surrounded by six other Bangengele elders. Shenge and Faki were present. Kinois was present. Others watched, but could not comment. Dame Moza started by haranguing the hunters. She told them that their own fathers and cousins had held a tambiko and delimited the park. It was unacceptable for them to hunt in the park. She said they had fired at Kinois, intent to kill. Shenge again asked forgiveness. The elders discussed among themselves. The case was too serious; custom would punish them. This was a dire pronouncement. It often meant death. Wives and children might be afflicted instead of the guilty one. The room was silent. Kinois stood up. Only he could lift the curse. And he did. Before the elders of the Bangengele, before Shenge and Faki, before their distressed families, before Atigho’s assistant – also silent among the watchers – Kinois stood and said he forgave them. So it ended, and the Park is stronger. Kinois — now back in the field. This entry was written by Terese Hart, posted on 2013-07-27 at 9:52 pm, filed under community conservation, Indigenous peoples, Law and Order. Bookmark the permalink. Follow any comments here with the RSS feed for this post. Post a comment or leave a trackback: Trackback URL. An amazing story. An admirable outcome. I would like to ask a question, could you contact me when you have some time, please. 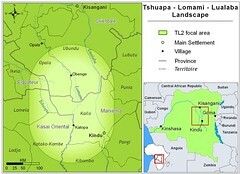 Its to do with travelling through the centre of the Congo. Its an amazing thing that you are all doing and think generations will appreciate your work probably without even knowing you both.